Sometimes all it takes is a quick look at gym membership rates or exercise equipment prices to shatter the best fitness intentions. Dollar signs don’t have to stand in the way of getting fit, though. Several companies throughout Colorado offer discounted, used, and refurbished workout equipment. There are several ways to get safe equipment for less than the manufacturer’s suggested price. Workout equipment is expensive. It’s always expensive. However, several companies sell floor model equipment, refurbished or used equipment, or discounted equipment. A lot of the equipment from these companies will still be in the 4-digit price range, but it’s a lot less than purchasing the same equipment brand new. BusyBody Denver, for example, has both new and used exercise equipment. Used equipment is taken in, inspected, and tuned-up so that it’s in next-to-new condition. They deliver workout equipment to homes and get it set up. Most items from BusyBody Denver comes with a parts and labor warranty. It was even listed as one of the Top Used Sporting Goods Stores in Denver by CBS. HealthStyles Exercise Equipment has several locations throughout northern Colorado. They have both new and used workout equipment. New workout equipment sometimes comes with hefty sales or rebates. Used and clearance equipment often includes floor models. 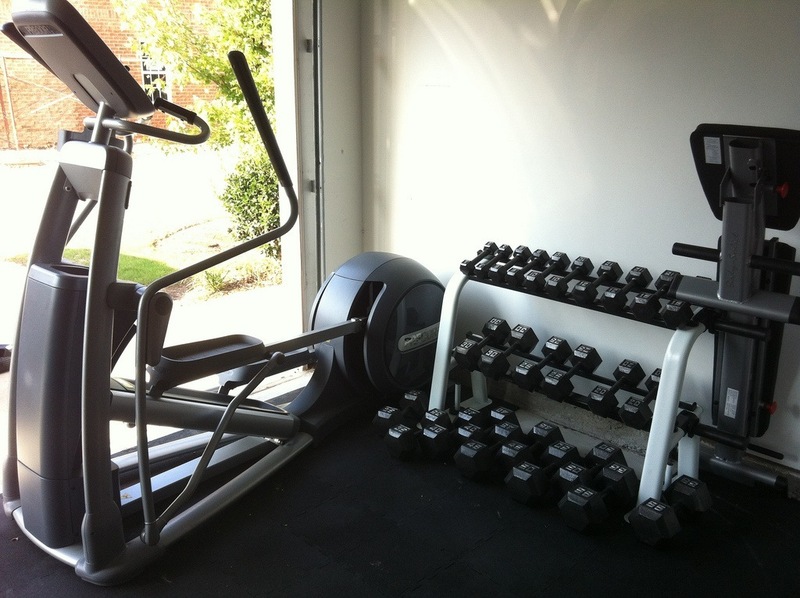 Trades, rentals, and financing options also make it easier to get workout equipment. Additionally, HealthStyles will do service and repair on workout equipment, which might make it possible to dust off that old elliptical from the garage instead of buying a new (or new-used) one. HealthStyles delivers to all of Colorado, too, as well as some neighboring states. Colorado Used Gym Equipment deals with used equipment only. Workout equipment is refurbished before being sold, and they’ll deliver and install equipment for a fee. Plenty of the equipment here is in the 4-digit range as far as price, but it’s also possible to find a few items for less than $500. Play It Again Sports has locations all over the country, including locations in Colorado. This company doesn’t just sell workout equipment, though. They also have sporting equipment, including supplies for tennis, hockey, skating, golf, and other sports. Play It Again Sports pays on the spot for equipment. This means that bringing in all those old golf clubs, footballs, soccer cleats, skateboards, and any other type of sporting equipment might pay off. Of course, an armful of golf balls and an old hockey stick may not make much of a dent in the price for workout equipment, but it certainly can’t hurt. To find more used sporting equipment – or to repair sporting equipment – check out SportsPlus or Boulder Sports Recycler. Both of these places do consignments, too, so they’re a good way to get rid of unused sporting equipment. Don’t forget to keep an eye out for workout equipment at garage sales or at stores like Goodwill, Salvation Army, and ARC. The selection will be almost non-existent, it may not be the best quality, and it’s probably not safe to hop on and start using right away, but it will cost a fraction of the price of any other store – especially if you go on days when thrift shops have big sales, senior discounts, or military discounts. With workout equipment purchased through places like these, it’s always a good idea to have equipment serviced by a professional before use. Lots of the same places that sell used equipment will do repairs and tune-ups to make sure equipment is safe. If there’s just no money in the budget for workout equipment, new or used, it’s easy to get fit with household items. These are all fantastic items for getting into shape. If they fit the budget, that’s great. If not, make your own. For kettlebells, sub in gallon jugs of water, milk, juice, laundry detergent, or some other similar jug. For dumbbells, bottled drinks or soup cans work well. Choose items that are easy and comfortable to hold. When starting out, partly-empty jugs or bottles work well. Work up to using full ones. Eventually, if the full bottles or jugs no longer create a challenge, clean them out and refill them with sand, which weighs more than water. Resistance bands can be easily replaced by pantyhose, tights, towels, rolled-up old clothes, or even rope that has a little stretch to it. A flat bench, which can be used to do standing push-ups or sitting exercises, can be swapped for the kitchen counter, table, or a chair. However, be careful about using things like tables and chairs that aren’t attached to the floor, since they can slide or tip. Valslides are used to reduce friction against the floor, so that more muscle tone is required to keep from sliding and falling down when exercising. Paper plates make an excellent replacement for valslides. To substitute a medicine ball, grab a basketball. It’s difficult to mimic the weight of some heavier medicine balls, but a basketball can still make a great replacement for some exercises. If the household workout equipment isn’t doing the trick, though, take advantage of one of the most popular, easy-to-find, free types of equipment out there: playground equipment. Some parks even have fitness equipment for public use. To find out if a park has fitness equipment, check your local parks and recreation website or contact the activities branch of your local government. How do you find low-cost or free workout equipment?